Wow we are almost half way through the 30 days to hands on play and I’m having so much fun with J and T. How are you getting on? This was loads of fun. I looked at the challenge and though URGH (kind of a UH OH, ARGH combined moment) as I am trying my best to do the activities with both J and T and their book choice is very different. But looking through our recent book themes one has stuck out and is brought out regularly by T and by J. Goldilocks and the 3 bears. So we spent a great time acting out the story and reading through the book again and again. Check out this edition of Goldilocks and the three bears by Allan Alhberg. 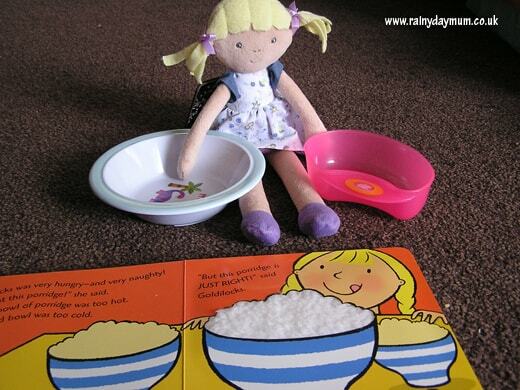 Recreate the story of Goldilocks and the 3 bears with this sensory bin. 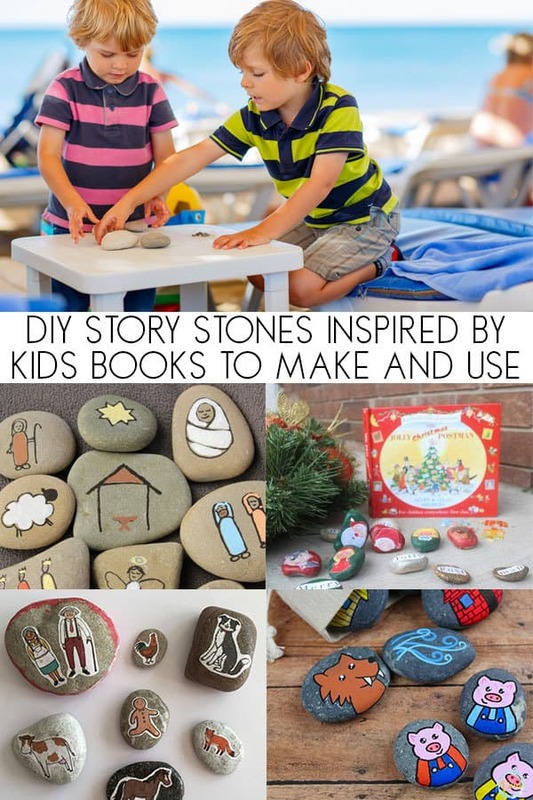 Check out our fun ideas for Story Telling Inspired by Books using Story Stones. LOVE when their interests match up like this! This looks like a wonderful activity! I love the book.